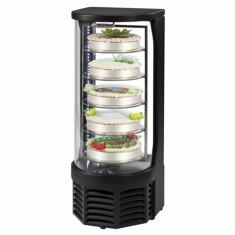 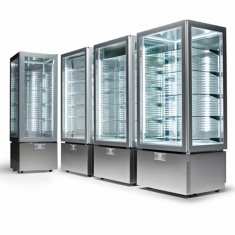 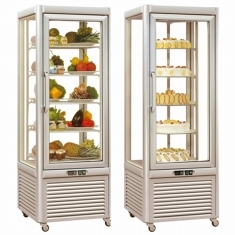 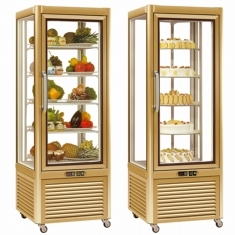 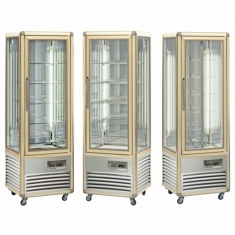 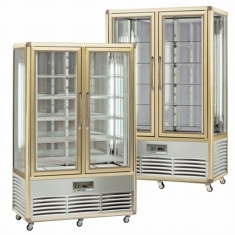 360 degree refrigerated glass display cabinets. 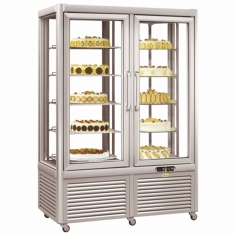 Options with glass shelves, rotating shelves or wire shelves. 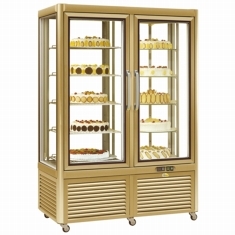 With the floor standing Continental and Prisma ranges and the counter mounted Goloso.